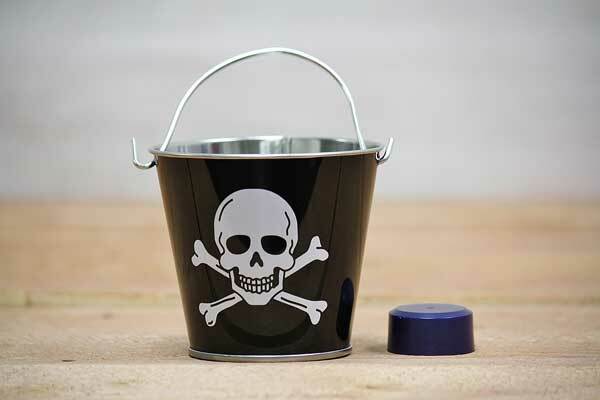 These creative metal pails will be the highlight of your pirate-themed party! Create tiny sails out of paper and toothpicks and plant them in sand-filled buckets to decorate your tables. They can also be turned into party favors for your Jolly-Roger-enthusiast guests. We also offer small buckets decorated with camouflage and shooting stars.